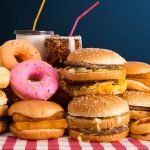 In a bid to fight obesity, public-health researchers have been trying for decades to find a way to convince teenagers to skip junk food and eat healthily, to little avail. One of the biggest obstacles is the enormous volume of food marketing kids are exposed to every day. That marketing is designed to foster strong positive associations with junk food in kids’ minds and to drive overeating—and research has shown that it works. In the new study, released today, teens first read the marketing exposé material, and then did an activity called “Make It True,” meant to reinforce the negative portrayal of food marketing. The students received images of food advertisements on iPads with instructions to write or draw on the ads—graffiti style—to transform the ads from false to true. The latest study, which used a new sample of eighth graders, found that the effects of the marketing exposé intervention endured for the remainder of the school year—a full three months. The effects were particularly impressive among boys, who reduced their daily purchases of unhealthy drinks and snacks in the school cafeteria by 31 percent in that time period, compared with the control group.